Highlights: Bahia Blue Villa, Gorgeous Modern 4BR, full AC, Pool & Jacuzzi, 5 minute walk to Baie Rouge Beach in Terres Basses, St Martin, Great vacation villa for Couples or Families with kids! Call 800 480 8555 for info. This villa is soooo cool!! Bahia Blue is a lovely new modern "California style" villa!! You'll enjoy living, relaxing, and playing in this beautiful fully air-conditioned 4 bedroom villa situated in the prestigious hillside community of Terres-Basses on the French side of St Martin. This 4 bedroom villa offers a lower rate for use of 3 bedrooms (bedrom 4 is not used) for 6 persons. Higher or lower rates are offered for use of 2 or 4 BRs to accommodate 4 or 8 persons... see below for rates. Step in to your private oasis and let your senses be awakened by the lush gardens, colorful décor and large infinity swimming pool. Offering a variety of calming nooks located throughout the property... the private patios outside the bedrooms, the roof top patio, the gazebo around the pool and the Jacuzzi, there is no lack of space to rest and unwind. We can’t think of any better way to find the Zen you want when on vacation! Two infinity pools, one upper and one lower, flow like tropical rivers along the deck creating restful places to relax surrounded by lush plantings in the gardens and inset in the terraces. A hot tub sits in a private garden away from the pool. Covered terraces and a thatch roof gazebo provide ample outdoor seating. Designed to comfortably accommodate a group of 8 guests, this villa offers 4 very spacious, equally sized suites with king beds and ensuite baths, and can be either individually accessed or be connected which is great for families travelling with young children yet can also still provide the privacy needed for couples traveling together. All beautifully tiled bathrooms offer a large walk-in shower and 2 sinks. Two outdoor showers can be found enhancing the private oasis experience. The bright and airy open concept interior living space is delightfully furnished with a modern, colorful, even playful twist. The architecture is truly elegant yet very practical and built for fun and relaxation in mind! The living area opens to a generous covered deck offering al-fresco dining and several furniture groupings located along the pool. It doesn’t stop there!! Guests will also enjoy the well equipped outdoor kitchen with BBQ located under the terrace roof and next to the gazebo so the chef doesn't have to be stuck in the kitchen (although the kitchen bar also opens to the pool area! 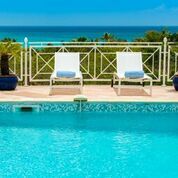 The villa is conveniently located just a short walk 5 minute walk to the well known and very beautiful Baie Rouge beach on the calmer Leeward side of the island. Also close by is "Trau David", a very unusual and popular snorkeling site. 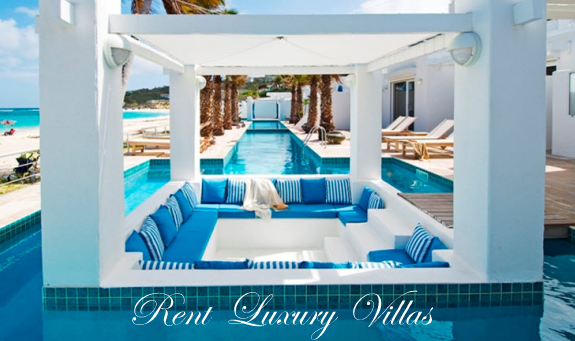 Bahia Blue is a trendy way to enjoy your next St Martin vacation. Situated in the exclusive community of Terres Basses with views looking out over Simpson Bay and Marigot. Just a short drive to great restaurants, bakeries and grocery stories, Bahia Blue is centrally located for people looking to spend little time on the road and more time pool side. Although the villa appears quite remote, you are just a five-minute walk to Baie Rouge Beach and a two-minute drive to Baie Nettle for fantastic restaurants, 10 minutes further and you arrive at the charming French capital of Marigot. 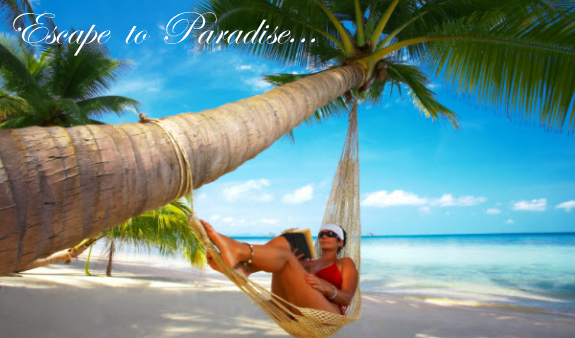 The airport is only 10 minutes away and Grand Case and Philipsburg only 25 minutes by car. Please Note: Baie Rouge Beach may be affected by shifting seasonal currents and weather patterns. For the best swimming renters are recommended to walk down the beach near the public entrance where the waters are more protected. • This property is equipped with the CO2 free electric mosquito trap! Weekly Pricing for 2 persons per bedroom. Before tax/svc. • To Beach: 5 Minute walk to Baie Rouge Beach and 10 minute walk to Trou David (Snorkeling site). 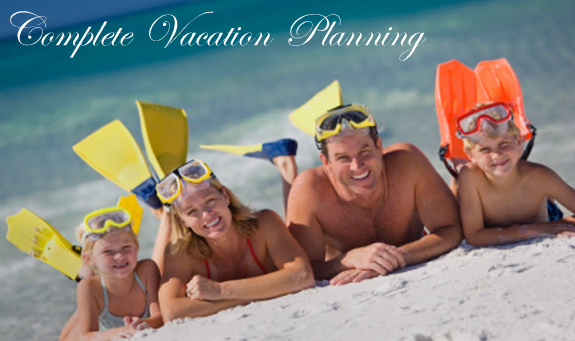 Minimum Stay 7 nights in high season, 5 nights in low season (excluding Thanksgiving Week) and 2 weeks at Christmas. Fees & Taxes: Additional tax and service charges include daily maid service (except Sunday), airport pickup, rental car reservations, 24/7 local assistance while on island, welcome gift, arrangements for chef service, restaurant reservations in high season, island concierge services before and during your stay. MARIPOSA...Affordable 4BR villa offered at 3 BR rate with lovely pool and terrace!